Sketts is extremely proud to be a Farmers Market pioneer and we continue to work closely with farmers and local authorities to ensure our ‘Farmers Markets’ remain authentic and true to their original ethos. Our farmers and producers have risen to the challenge – they offer customers their expert knowledge of the produce, how it’s grown, how it is best cooked and even recipes are on hand. Our producers offer friendly service and care deeply about quality, freshness, animal welfare and the local community. 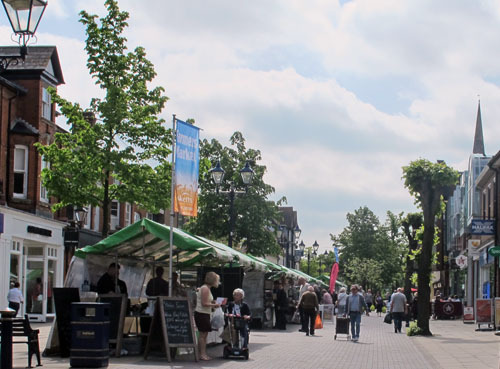 Come along to Solihull Farmers Market on the 1st Friday of every month and put the fun back into food shopping!